La Liberté, c'est mieux en HD ! Si j'ai bien compris, les caractéristiques technique ne changent pas, il n'y a pas de "remasterisation" ? William Wallace: Sons of Scotland! I am William Wallace. Young Soldier: William Wallace is seven feet tall! 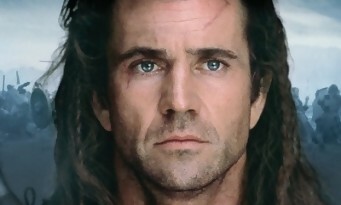 William Wallace: Yes, I've heard. Kills men by the hundreds. And if HE were here, he'd consume the English with fireballs from his eyes, and bolts of lightning from his arse. William Wallace: I *am* William Wallace! And I see a whole army of my countrymen, here in defiance of tyranny. You've come to fight as free men... and free men you are. What will you do with that freedom? Will you fight?